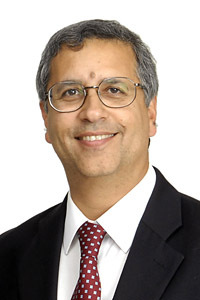 Professor Cyrus Cooper of the University of Southampton has been awarded The 2014 ESCEO-IOF Servier Pierre D. Delmas Prize for his distinguished body of work in the epidemiology of musculoskeletal disorders. Presented at the opening of the World Congress on Osteoporosis, Osteoarthritis and Musculoskeletal Diseases in Seville, Spain, the prestigious annual prize honours an outstanding researcher who has made major scientific contributions to the study of bone and mineral diseases. The Prize, granted by the European Society for Clinical and Economic Aspects of Osteoporosis and Osteoarthritis (ESCEO) and the International Osteoporosis Foundation (IOF) with the support of Servier is valued at 40,000 EUR. Professor Cooper is Professor of Rheumatology, Director of the MRC Lifecourse Epidemiology Unit, University of Southampton, and Vice-Dean of the Faculty of Medicine at the University. He is also Professor of Musculoskeletal Science at the University of Oxford. Professor Cooper leads an internationally competitive programme of research into the epidemiology of musculoskeletal disorders, most notably osteoporosis. Key research contributions have included the discovery of the developmental influences which contribute to the risk of osteoporosis and hip fracture in late adulthood; demonstration that maternal vitamin D insufficiency is associated with sub-optimal bone mineral accrual in childhood; characterization of the definition and incidence rates of vertebral fractures; and leadership of large randomized controlled trials of calcium and vitamin D supplementation in the elderly as immediate preventative strategies against hip fracture. Professor Cooper is Chairman of the IOF Committee of Scientific Advisors; Chair of the MRC Population Health Sciences Research Network; Associate Director of Research at the University of Southampton Medical School; and Associate Editor of the journal Osteoporosis International. He has published over 630 research papers on osteoporosis and rheumatic disorders.